September 15, Islamabad; On the second day of the 5 day session, in a Resolution tabled in the House today, Members of Youth Parliament Pakistan stressed on the fact that Youth representation should be assured well in the Parliament. This country should follow the global patterns of recognizing Youth as a valuable future investment and a rich pool of ideas. It should be a must for any political party with contesting members more than 15 to have at least 2% young members (22- 35 years of age) in their parties who actively contest for a seat in the National Parliament. The Resolution was presented in the House by Mr. Sarfaraz Jamali (YP3-50-SINDH11) and Mr. Hassan Abbas Nawaz Awan (YP3-44-SINDH05). 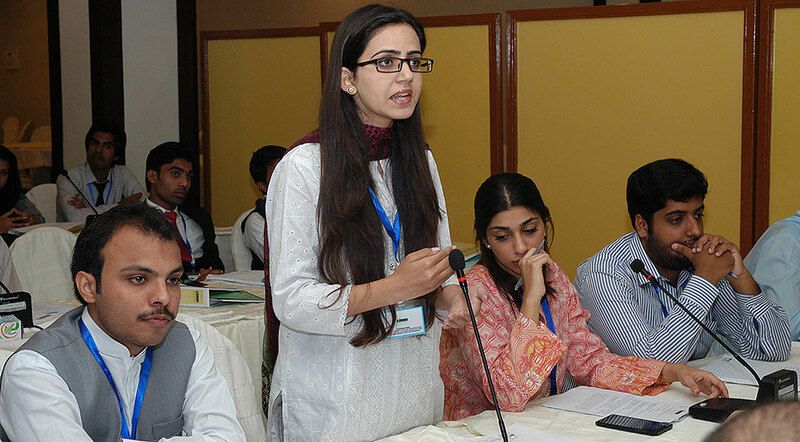 In another Resolution, young Parliamentarians Mr. Muhammad Adnan (YP3-27-PUNJAB16), Ms. Arooj Aurangzeb (YP3-17-PUNJAB06) and Mr. Talal Mustahsan Raza (YP3-37-PUNJAB26) urged the Government of Pakistan to provide protection to journalists as envisaged under Article 19 of the Constitution of Pakistan. Members condemned the recent targeted attacks on media persons that resulted in two dead and 2 injured. The Resolution was adopted by the House. 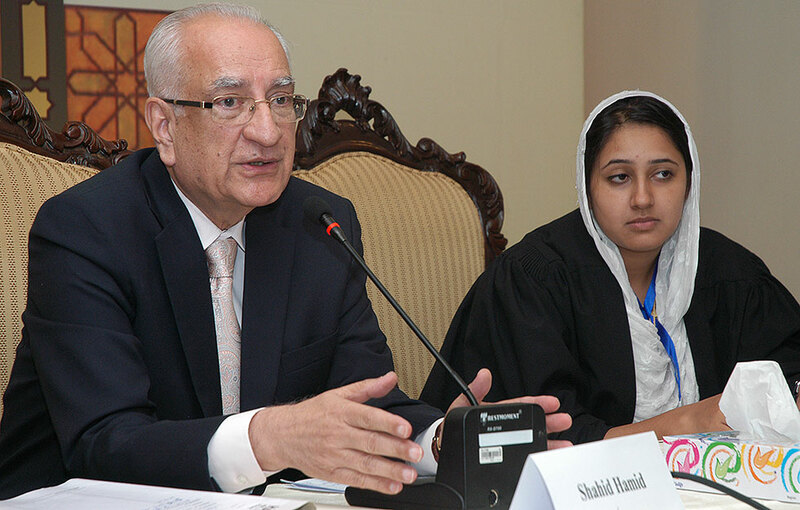 Later today, Senior Constitutional Expert and Advocate Supreme Court of Pakistan, Mr. Shahid Hamid briefed the young Parliamentarians on the Constitutional history of Pakistan and gave an overview of the Constitution of Pakistan. This was followed up with an interactive Question Answer session with the Members of Youth Parliament Pakistan. Measurement of Democracy should focus on the extent to which the Government and related institutions are fairly elected and are subsequently participatory and accountable to people. However, measurement of governance focuses on the quality of decision-making and service delivery to people. These thoughts were shared by Dr. Niaz Murtaza, Development & Political Economist, Senior Fellow UC Berkeley with the Members of Youth Parliament Pakistan. He was delivering a lecture on “Governance & Good Governance”. Dr. Murtaza also briefed the young Members on the quality and stages of Governance witnessed in Pakistan over the years. 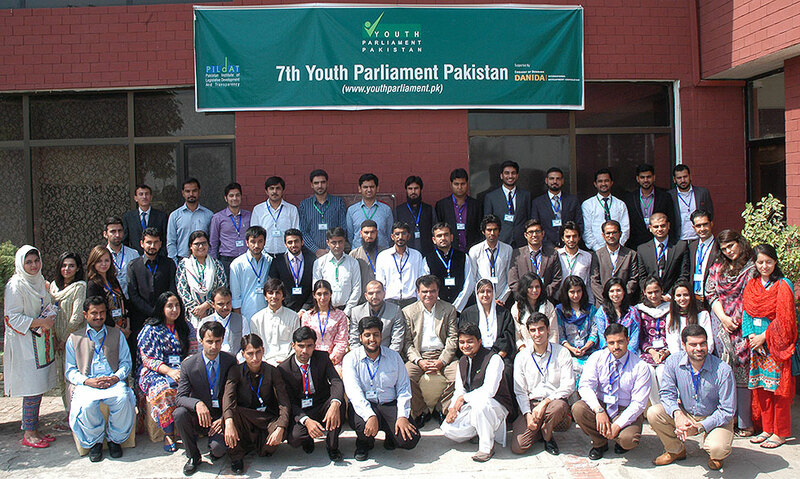 60 new Members of the third session of 7th Youth Parliament Pakistan are engaged in a 5-day fast-paced comprehensive orientation and training on democratic and political affairs of Pakistan, legislative processes and leadership skills in Islamabad.